In a post-truth world, the need for more evidence-based reporting has come to the forefront. As a result, drone technology is paving the way for credible journalism. 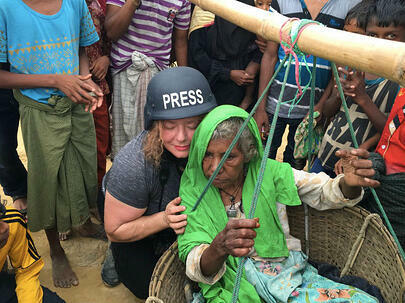 Gail Orenstein was a photojournalist for 23 years before transitioning into drone journalism. 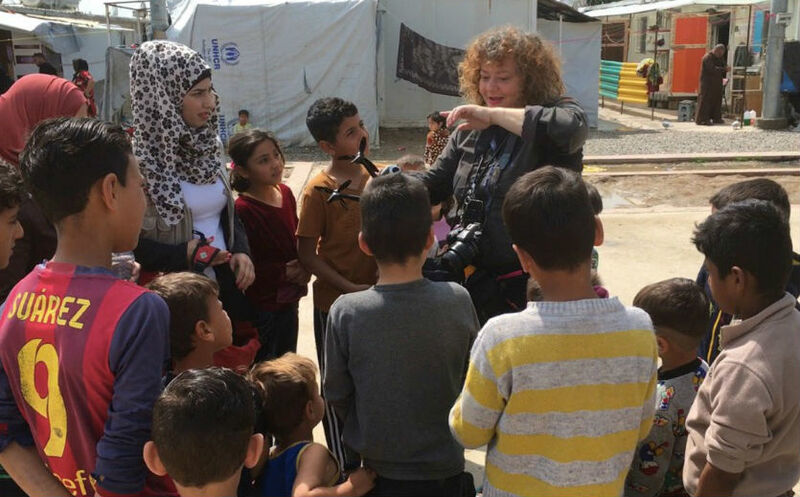 A member of the NUJ and the International Press Association, Gail was the first female to drone in Kurdistan, Iraq, during the Mosul offensive in 2017. She has travelled to over 80 countries and is often the sole female photographer in the field. Gail has worked in numerous crisis zones throughout her impressive career – this includes documenting the AIDS outbreak in Haiti. 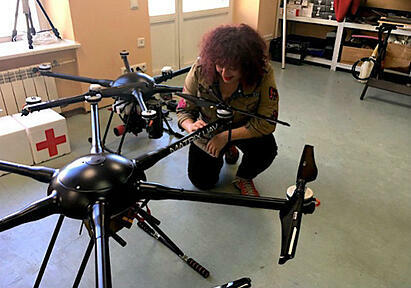 Her drone footage and photography has been distributed globally in publications that include CBS News, The Guardian, The Chicago Tribune, The Times, Washington Post, TIME, BBC and The Telegraph. 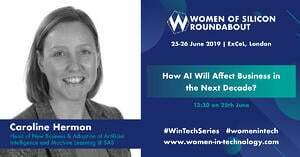 Gail will be sharing her wisdom at Women of Silicon Roundabout, 25-26 June 2019. 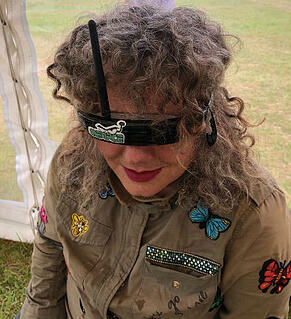 We sat down with this innovative drone journalist ahead of the event to hear more about her work. How did you get into your field of drone journalism? I had been working in the field as a photo journalist for 23 years. I was covering the war in Syria and newsrooms began to ask me to bring in aerial footage. 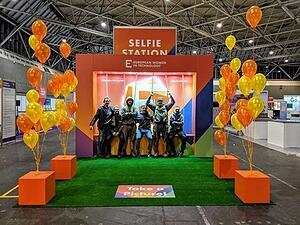 The demand had shifted away from still photography and video on the ground. It’s very hard to fake aerial footage and news outlets wanted more evidence-based material. It was very, very early in that stage of UAV technology that I was asked to use drones, I was really in the forefront. So, I just knew that this was absolutely the way of the future and I got licensed in both the United States and the UK. So, I was asked to do this as we live in a post-truth world. I’ve been working in the field now with what I call 'hybrid technology” which is using both cameras, still video and a fleet of drones. So, we can do mapping, geospatial tracking and surveying while including a lot of mathematical evidence in your storytelling. So, that’s been a huge advancement in the way that news is now covered. Tell us about your most pioneering project. My most pioneering project was when I was working in Iraq and I went to cover the Mosul offensive in 2017. Islamic State had bombed the naves of the famous nine churches on the Plains of Nineveh. So, I was asked to help by the Assyrian community. I had droned one of their refugee camps in Kurdistan and become friends with somebody who was on the council of the Committee for Assyrian churches. They asked me to help them get an aerial view of the naves as they couldn’t see the destruction to the top of the roofs. It was absolutely fabulous and incredibly difficult because, at the time, I only had a Hobbyist Parrot Bebop 2. They needed very careful indoor footage of some of the churches where the alters had been smashed by Islamic State so that they could send it back to charity groups from the Assyrian churches to get donations to try and rebuild. So, I was really, really lucky to be asked to be able to do that and it was a such a pioneering project to carry out in the early stages of my drone journalism career. 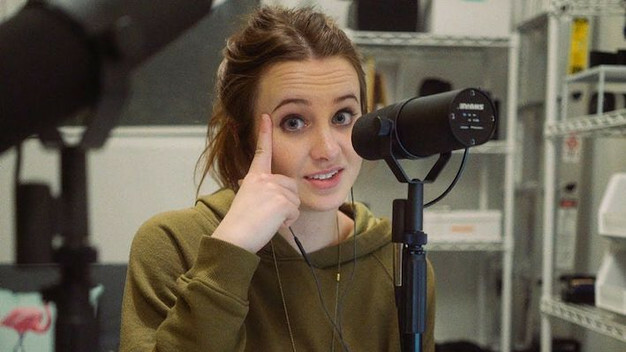 Who is your female tech inspiration, what have they done and why do they inspire you? 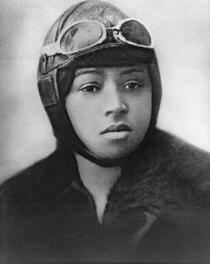 My inspiration is definitely Bessie Coleman (1892-1926) and the reason is because she was the first female American Civil Aviator born of both African American and Native American heritage. I think about her when I’m droning and the challenges she overcame to become a pilot. I consider myself a pioneer like her. I know of the struggles, I have had a hard time and it’s a long road to success that requires much energy. I can only imagine being a black woman of African American and Native American heritage at that time – she must have gone through a hundred times what I’ve gone through. She’s such an inspiration to me because she, like me, did not give up. I have very different days, depending on whether or not I am at home in London or whether I am in the field. So, on a typical day in London, I work with my assistant and plan my assignments for the next month, where they are, and what I need to do to prepare for them. Questions like "Do I need a Visa?" and "Do I have the right paperwork?" need to be answered. I also get a lot of emails about people asking me to speak at their events, so we answer these messages. After this, I normally begin to pack and prepare for the work. I drone almost every day and that’s really very important. It’s a state of mind and I think it’s good to always work at perfecting your skill. Even if you’ve flown hundreds and hundreds of hours it doesn’t mean that you’re the best pilot you can be. So, I really believe that you can never ever stop learning from going out and being in the field. Are you working on anything exciting at the moment that you would like to share with our readers? Yes, I’m working on a very exciting project. My brother, who is a surgeon, spent many years in Nepal. He set up a hand surgery institute and trained the first hand surgeon there about 15 years ago. Therefore, my heart and soul is very close to Nepal and when I visited last time about seven months ago, I heard a very distressing story about women and menstruation in the country. When women menstruate in Nepal it’s considered unholy and dirty. It’s very distressing to even think about, but, what happens is that the women are forced to sleep out in these small sheds surrounded by dung and vermin. In the colder months, many have died from hypothermia. I’m determined to drone these huts and create a documentary about this, so it can become part of an educational programme. If these women do have to live somewhere else, then I would also like to try to build something nice for them. Ultimately, I’m hoping to change the mindset, but that might be much harder to do as it is an old superstition. I am strategising this project that we’ve been working on for the past few months and I am up for a few grants. It is also forbidden to drone in Nepal so I will need a waiver, which is another challenge we will have to overcome. Remember that I’ve had a very long journey through photojournalism, 23 years of going into the field and understanding how to both upload and transmit. So, I was actually very lucky that drones became part of my arsenal, it was an extension of my photography. 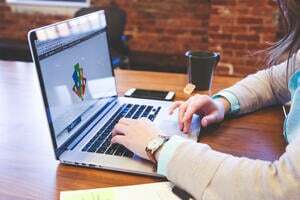 My journalism background allowed me to secure a career in tech. For those who are just starting their drone photojournalism careers, I would recommend taking some professional courses. And, if you’re interested in working in remote or humanitarian places, I would take some hostility training and first aid courses. I would never go out in the field without knowing first aid. Another thing I would recommend is to go out on the streets where you live and do some street photography. Try to go outside of your comfortability zone and see how you feel and if you don’t feel good about it, then it might not be for you. If you like it then you can go from street photography to documentary photography. Make sure to up your game each time you take a trip. The final leap is into drone journalism. I would never advise anybody to go into Iraq if you didn’t have any experience and, of course, all of your paperwork. 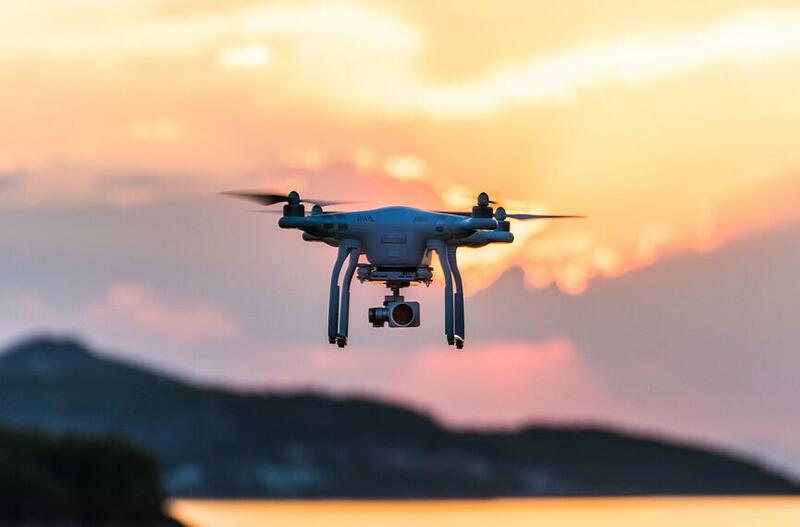 Each time you go to these countries you have to register your drone and secure liability insurance. Droning is very dangerous and you could really hurt somebody. My training consisted of learning how to drone manually before I could drone using GPS. So, I highly recommend you get out there and start flying micro drones manually and, if you can’t get them back, I would never recommend going somewhere with a bigger drone because you’re not ready. So, you have to move up to GPS as you need to learn how to fly manually first to keep yourself and your communities safe. 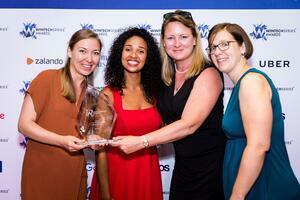 Why have you decided to get involved with Women of Silicon Roundabout? I think it’s really important to get involved with women and my local community in general, so, if there's technology, if there’s human interest, if there’s drone clubs, I get involved. Women of Silicon Roundabout really excites me because I work in technology and it brings us all together. We all have very different experiences, so I’m looking forward to meeting other women and hearing about their technology journeys and I hope they’re looking forward to hearing about mine. So, I’m very excited about the conference and I’m looking forward to speaking there and introducing drone journalism and the kind of work that I use technology for to the world. 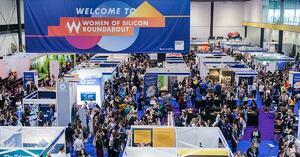 What are you most looking forward to at Women of Silicon Roundabout? I’m most looking forward to meeting other people who use drones or similar technology in the kind of hostile environments that I work in. I would like to think about different types of collaborations, for instance working with someone in software. Collaboration in the field of UAV is always on my mind. 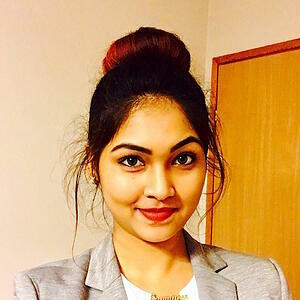 It’s always exciting to meet other women because tech is a field where we're typically surrounded by men and it's very exciting to know that I will be with other women who chose the route of technology. And I’m hoping, as I said, to meet some other drone pilots who are doing interesting work across the globe. So, thank you very much, I look forward to the conference and speaking at Women of Silicon Roundabout. To find out more about Gail, you can take a look at her website, or follow her on Twitter and Instagram. Join Gail at London's top women in tech conference. 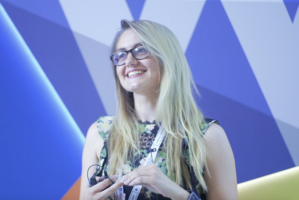 Be inspired by the ecosystem's most influential women in technology, network with like-minded female founders, liaise with top Silicon Roundabout tech companies and enhance your skills portfolio in a passion-charged atmosphere.